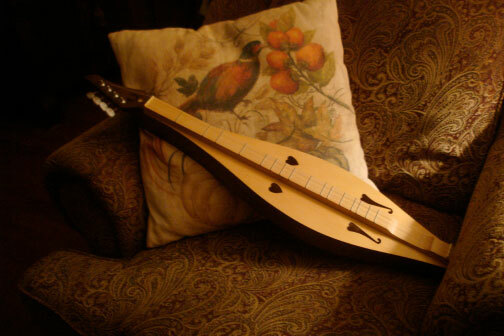 You are currently browsing the Suburban Homesteading – Frugal Living blog archives for January, 2013. 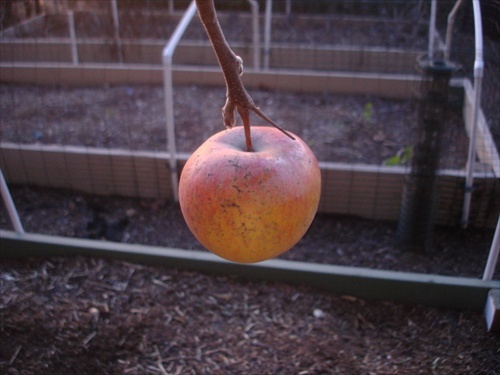 Remember the lone abandoned apple forgotten in last fall’s harvest. 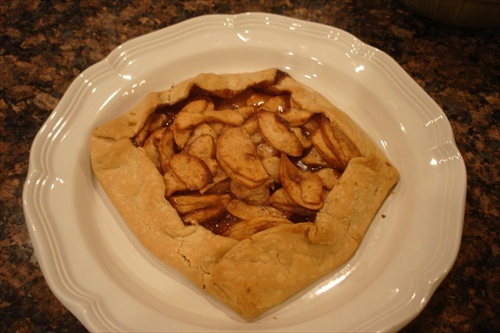 Well, it is being appreciated NOW in a rustic apple pie! The smell of cinnamon bubbling through with brown sugar, butter and apples filled the house with sweetness and promise. Shades of things to come. Our weather of late has been like a tumultuous roller coaster ride—rising and falling; twisting and turning with temperatures that ride high into the sky then plummeting down into the depths of a freeze. Winds that howl so strong the house seems to inhale and exhale, then so calm that the frost settles over everything it touches. In between there have been bouts of rain; gentle and soft so the ground can soak it up then torrential downpours that flood the streets. For the last week or so I have only run out into the weather to quickly feed and water the chickens and goose, and make a cursory survey of the farm looking for damage or the potential for damage. It wasn’t until tonight that I actually had a chance to really look the place over. Frost bitten leaves were evident everywhere, but thankfully the barn and the greenhouse (still unfinished) remained intact with no signs of wind damage. During my wandering I noticed what I thought was a large reddish golden leaf on the Fuji apple tree. I had seen it from my bedroom window several days before and thought how amazing that with all the wind we’ve had a leaf was still attached to the barren tree. But, when I looked closer I discovered it wasn’t a leaf at all, but a ripe apple, missed during our fall harvest; curious that I didn’t see something of that size earlier. It made me reminisce of fall, and made me think of how good a small rustic apple pie would taste in the middle of winter so I plucked it from its stronghold and brought it inside. Along my walk I also noticed bits of green in the long narrow vegetable planter I built for onions and garlic. 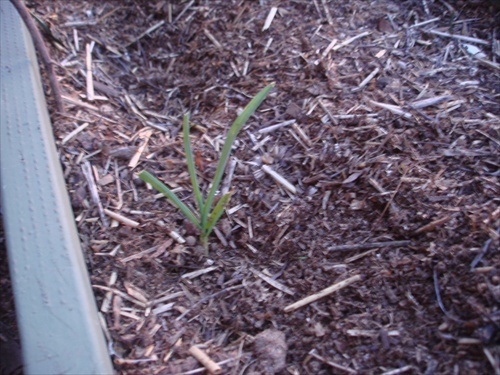 The garlic I planted before the holidays is beginning to poke slender leaves through the dark rich soil. In contrast to the lone forgotten apple of a season gone these are the promise of spring, of readiness for planting early crops and the desire to eat fresh from the garden again. Bulbs of dried garlic will hang in the kitchen in a few weeks, seasoning everything from sauces to meats. If the weather holds I may soon be outside plunging my hands deep into the soil, churning it and smoothing it, making it ready for greens and peas and broccoli and other early season cool weather seeds. I ended my walk at the barn, filling up the water troughs and topping off the hanging chicken feeder. 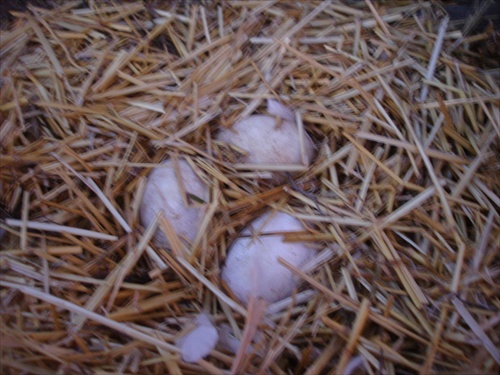 The hens have had a grand time scratching in the thick layer of straw laid to keep them cozy on cold winter nights. There are deep holes where they have fluffed and nestled themselves in their daily dust baths, and mounded up places where they scratched so fiercely that they’ve piled up the straw. One pile, though, looked particularly strange so I walked over to investigate. As I moved toward the mound Princess Sophia, our Sebastopol goose, became agitated. The closer I got the louder she protested. As I bent down to look at the straw more closely she was literally tugging at my pants in a frenzy. When I pulled a layer of straw aside I could see the reason for all her commotion. She must have begun laying in the last week or so because snug under that mound of straw was a small clutch of eggs. If we had a gander this would be the best ever promise of spring and the promise of a fluffy little brood of goslings. But, it isn’t to be. We have no gander. 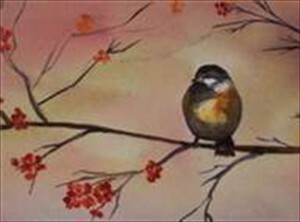 Before I had finished my rounds the temperature fell and a frozen breeze was swirling around, the setting sun had painted the sky with streaks of pink and orange and yellow. Fall and spring were clashing in one afternoon; remnant memories of days gone and the promise those to come ran through my mind. As I walked back to the house, glowing with a roaring fire, I turned for one last glance at the tiny farm and thought life can’t get much better than this, especially for a Tuesday. Little bits of anything are often forgotten about or viewed as not useful. But at our house little bits mean we not only use up food that might go to waste in other homes, but we also put a wonderfully satisfying meal on the table. 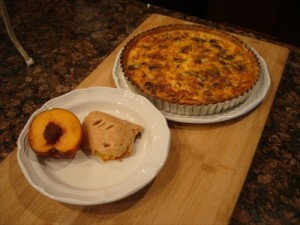 Take the quiche and peach popover above. It was made with two slices of bacon, two mushrooms, a 1/4 of onion thinly sliced, left over half and half cut with some milk to make the needed amount, eggs from our hens and a pie crust. The extra pie dough was rolled out big enough to hold 1/2 a peach sliced and tossed in sugar and spices. The rest of the peach was eventually chopped and sprinkled over the vanilla ice cream that accompanied the popover. The whole meal used small amounts of many things to make one deliciously filling meal after a long day of work on the farm. So…the next time you are tempted to toss those little bits, don’t. Find a way to use them. Little bits of meat and veggies can be sliced and tossed over a salad. Or, if you can’t find a way to use them now, freeze them to be used in hearty soups chalk full of veggies and meat, or put them in stews and create a belly filling supper perfect for the coming cold weather months.